Please fill out one form per person. 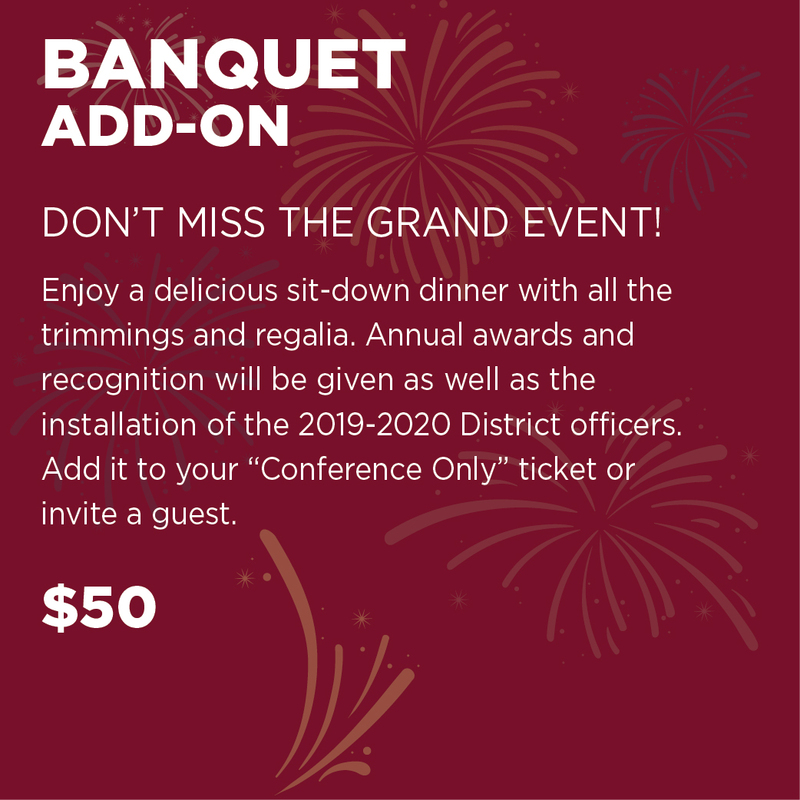 If you are bringing a guest to the banquet, see below. Enter your NAME and DESIGNATION as you would like it to appear on your Conference Name Badge. 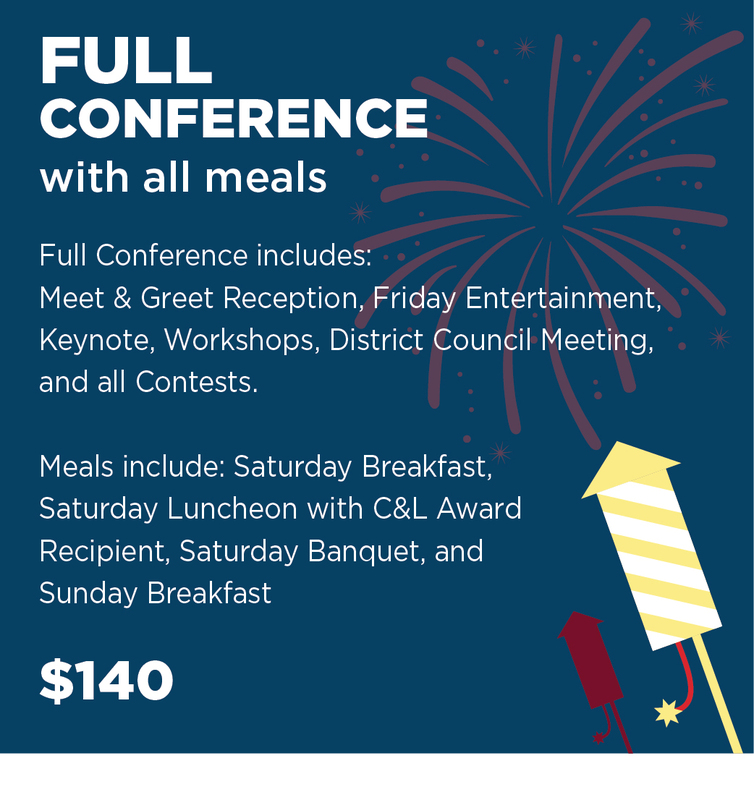 Would you like to receive text alerts during the conference? 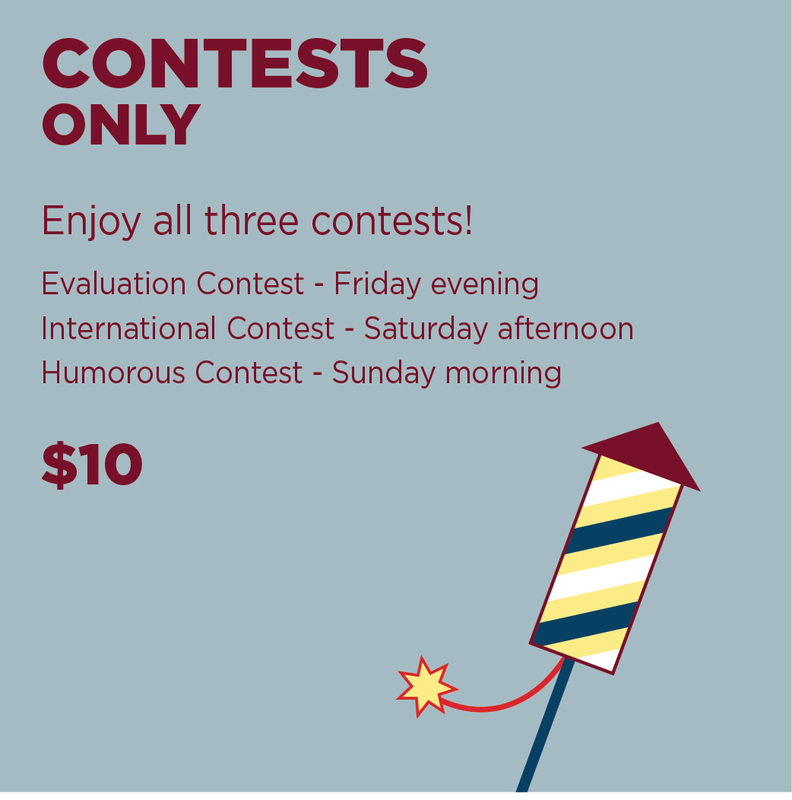 If Contestant, which contest – Evaluation, International, or Humorous? If you are a recipient of the scholarship incentive, please indicate. Have it your way! 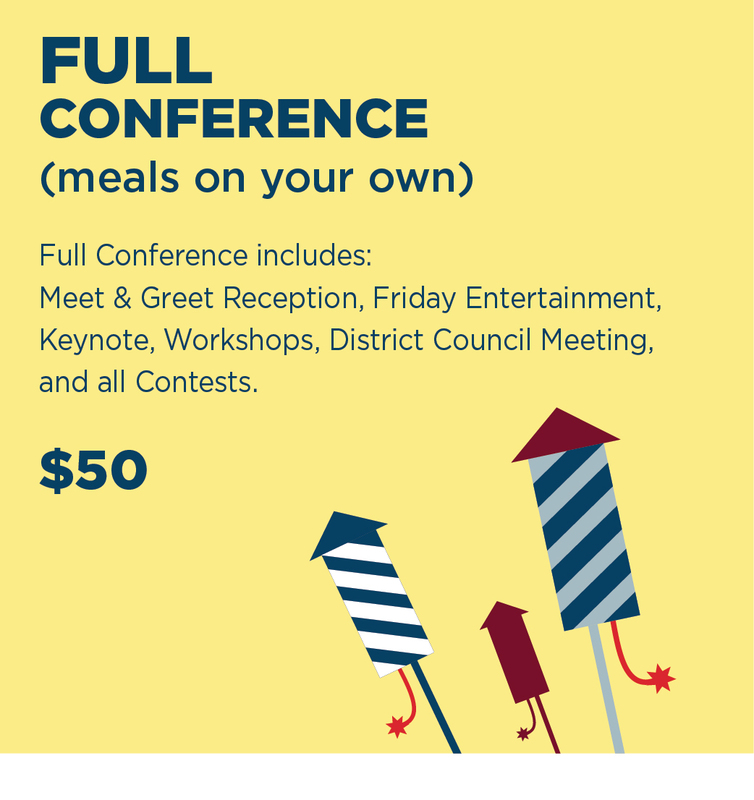 You can choose your conference experience. For a guest, please note meal choice in the indicated area. All meals come with traditional Caesar salad, warm rolls, Chef's choice of starch, vegetable, dessert, and freshly brewed coffee or hot tea.